L I V I A: [LAUNCHING THIS OCTOBER 16', IT'S TIME TO TAME YOUR WILDEST PORES] FEAT. BIORE LIMITED EDITION ZEBRA + CHEETAH PRINT BIORE DEEP CLEANSING PORE STRIPS! [LAUNCHING THIS OCTOBER 16', IT'S TIME TO TAME YOUR WILDEST PORES] FEAT. 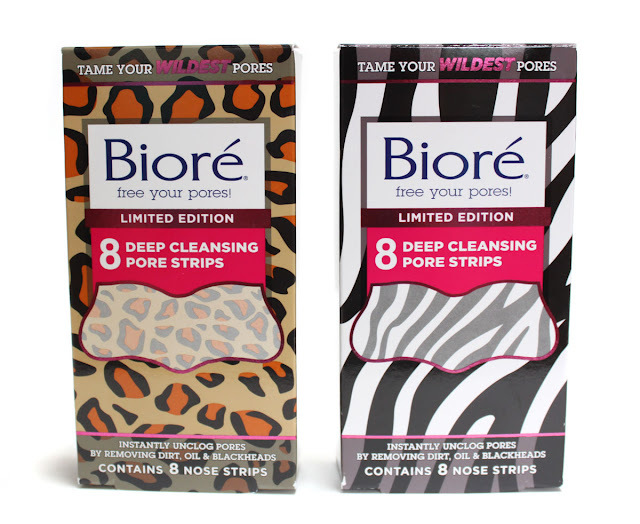 BIORE LIMITED EDITION ZEBRA + CHEETAH PRINT BIORE DEEP CLEANSING PORE STRIPS! Well...thanks to Biore's NEW Limited Edition pore strips that is set to be launching in October 2016, I believe it's time to tame your wildest pores! As animal prints have been hitting the runway at every fashion week, why not mix it up with the Biore nose strips range? When you feel like it's time to tame your wildest pores, bring out a zebra-inspired nose pore strip and get pampering girl! These strips include the original deep cleansing technology with special patented bonding ingredients. They look to work as a magnet, locking onto and lifting out deep-down dirt and oil that can cause blackheads so that you get the cleanest looking pores, ever. When it comes to using the nose pore strips, try to use them on a weekly basis which means that you'll see fewer clogged pores and the appearance of them will slowly diminish. I tried these strips last night and boy was I up for a surprise..clearly I wasn't using the nose strips for a while, so I ended up seeing more "dirt and oil" than usual on the nose strips. (Who here always checks out their nose strips after taking it off? Whether it's gross or not...you'll thank yourself for having a clearer pores). Who's excited for these Limited Edition Zebra and Cheetah inspire Print Deep Cleansing Pore Strips to launch in October 2016? Let me know on what you think by commenting below. Thank you Biore for supporting me for this review. My reviews are based on my personal and true experiences. I only recommend products that I truly support.